One of the things I love about my performing is the variety of both the repertoire and the ensembles I play in. This week I will be joining the award-winning tribute band The ELO Experience in two of their shows: on Thursday in Swansea’s Grand Theatre and on Friday in the Watford Collosseum. The group recreates the sounds of the 1970s band the Electric Light Orchestra. In 1971 musicians Roy Wood and Jeff Lynne teamed up in order to write rock and pop songs with a classical feel. The Electric Light Orchestra evolved from Wood’s group The Move and its first single was 10538 Overture, released in 1972. The debut concert that year featured a violin, three cellos and bass, creating the band’s signature string sound. Shortly after this Roy Wood left the group and went on to form Wizzard. In the mid-70s the group’s line-up stabilised, the string section now consisting of one violin and two cellos. Throughout the 1970s there were three different violinists in ELO. Steve Woolam played on the first album and then he was replaced by Wilfred Gibson, who always wore a cape while playing. Mik Kaminski joined in 1973 and stayed with the group until the end of the decade. His trademark was that he had a blue violin. Several of the songs feature prominent violin solos including the cover of the Chuck Berry song Roll Over Beethoven and the top-ten hit Livin’ Thing. 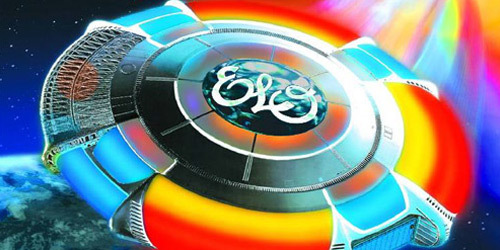 I am really looking forward to joining The ELO Experience this week and performing these great songs. This entry was posted in Uncategorized and tagged Electric Light Orchestra, ELO Experience, violin solos. Bookmark the permalink.